WEST WINDSOR, NJ – On Saturday, the Inferno Rush (3-2-0) earned a 2-0 win over New Jersey Copa FC (3-3-1). NJ Copa was coming off a 3-1 victory over the Long Island Rough Riders from Wednesday night. 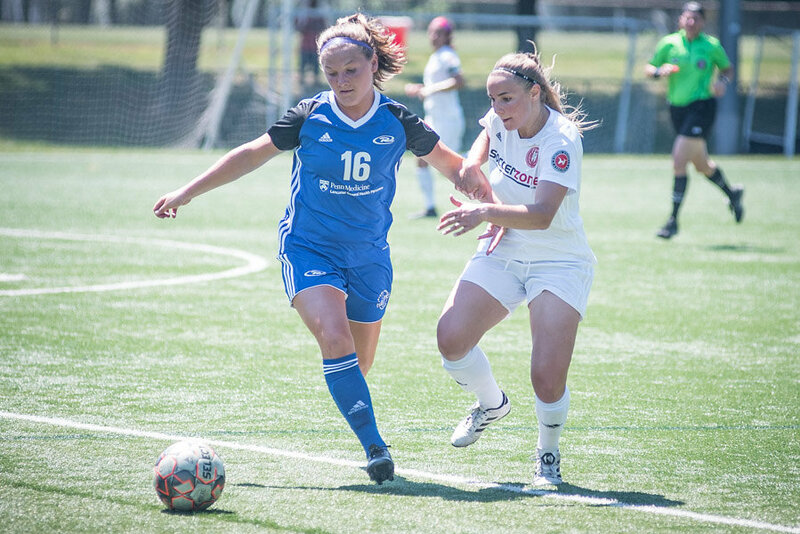 The Inferno was led offensively by Teresa Rook (Rynier) assisting in 2 goals, the first one to Megan Carroll in the 49th minute, and the second to Haley Crawford in the 64th minute. We wanted to keep the ball moving and conserve energy due to the extreme heat. Our defensive midfielder, Tesa McKibben, and defenders Ashley Chilcoat, Meaghan Cunningham, Aubrey Suydham, and Kendra Jones frustrated the Copa strikers. Goalkeeper Kelly O’Brien came up with some key saves to earn the shutout. This is the first season the Inferno has posted wins against rival, NJ Copa FC. 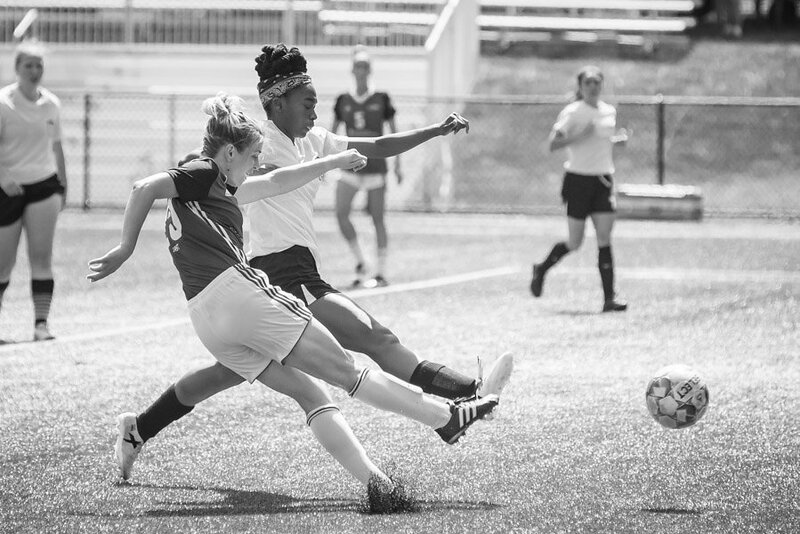 MILLERSVILLE, PA – The second match of the weekend against the Worcester Smiles (1-6-0) displayed the Inferno’s (4-2-0) offensive power, scoring 3 goals in the first 8 minutes of the game. Teresa Rook (Rynier) scored in the first minute (assisted by McKibben), followed by a goal from Haley Crawford (assisted by Liebl), and a third goal by Tesa McKibben (assisted by Rook). In the 35th minute, Crawford scored an unassisted goal, and Kay Liebl scored in the 44th minute (assisted by Rook). It was 5-0 at halftime. In the second half, Kara Weller scored (assisted by Alex Thompson) and Teresa Rook (Rynier) scored the final goal in the 76th minute. With two weekend wins, the Inferno improves to a 5-2-0 record, and is ahead of the Western New York Flash for first place in the UWS East conference based on goal differential. The Inferno Rush has two tough away games this weekend against the Rochester Lancers on July 7th, and the WNY Flash on July 8th. We are in a great position to finish first and win our conference championship, and we will continue to focus on one game at a time. The leadership from our players who are out of college has been instrumental in our success. 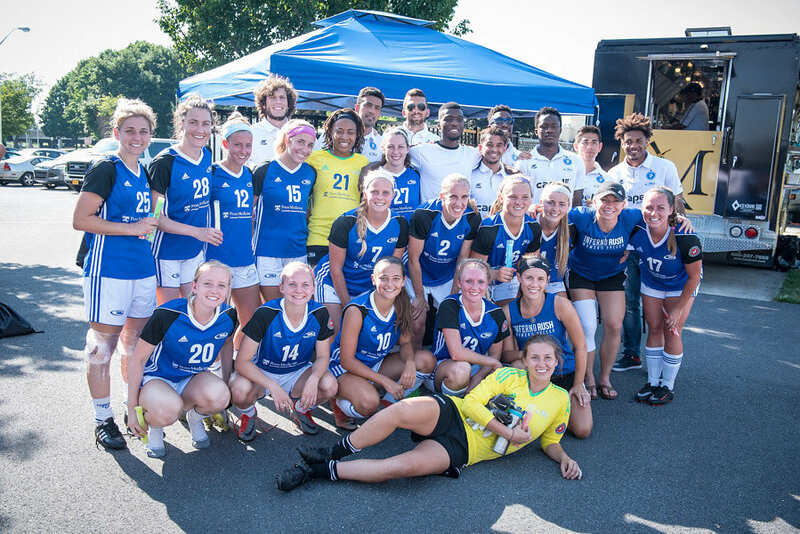 Players from Rush Soccer’s professional men’s team, Penn FC, were special guests in attendance at Sunday’s game. 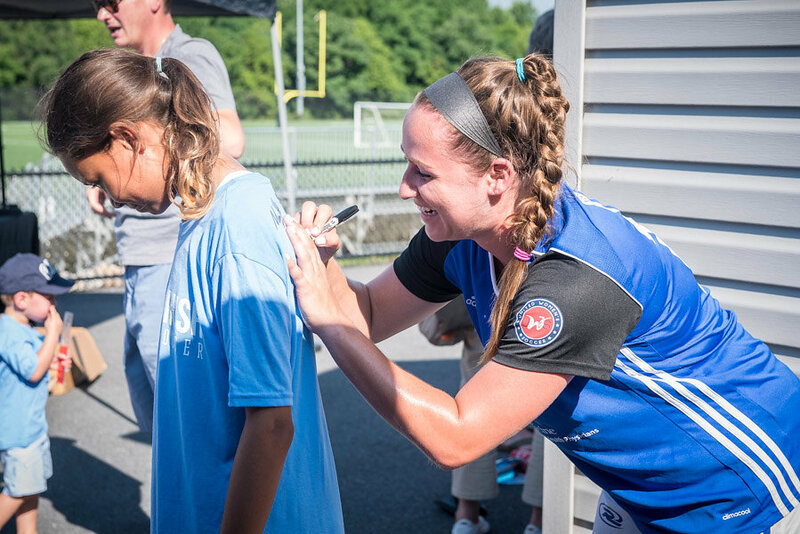 Inferno Rush hosted their annual popsicle social after their match where youth players and fans could get to know the players. Photos provided by Anthony Panzino of Eireann Photography.